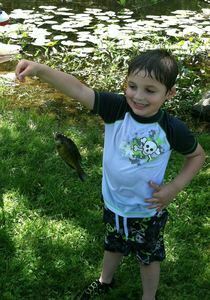 Learn to Fish at the Putnam County Veterans Memorial Park. Members from the Oasis Sportsmens club will be on hand to teach Putnam County Youth ages 7-14 how to fish. All participants will receive a FREE Rod, Reel, Tackle Kit, Fishing Directory & Hat. Space is limited to 150 youth. Check-in will be held from 10:00 am to 10:45am am ONLY. Availability of Rod & Fishing Gear not guaranteed after 10:45 am. Educational Program begins promptly at 11:00 am. WALK-INS not permitted. Registered youth will receive a reminder postcard 3 weeks before the event- you must confirm your attendance by email or phone by May 25 or your space will be given to those on the waiting list. Co-sponsored by Cornell Cooperative Extension's 4-H Youth Development Program & the Oasis Sportsmen's Club with support from the Jack Stewart Jr. Memorial Fund.